Bernice Lewis's musical roots appear at first glance to be inauspicious: she says she began her career by practicing duets with her mother's vacuum cleaner. Stay with me here. Years of travel from New England to Arizona and back again, touring, and three records show that the little girl has grown up. No less than the vintage performer Jaime Brockett wrote," As far as I'm concerned, you graduated with honors." Her fans would agree. "A wonderful voice. It's strong and clear, and it makes the hair stand up on the back of your neck," says Joan Bjornsgaard of the Tulsa Folk Music Society. "I've listened to your tape, and I'm improving--I can almost do it now without fighting back tears. Holly Near's the only other musician who has that effect on me," adds Kathy Bram of Tempe, AZ. Night Eagle patrons who listened to Bernice open for Robin & Linda Williams are only too glad to have her back and featured. An artist with the ability to elevate "the experiences of everyday life to an art form," Bernice sings from a woman's perspective with wit, concern, and eloquence in her distinctive, powerful voice. "Lewis has a sharp eye, a beautiful ear, a wide range," says Bob Coltman writing for Record Roundup. Open Lines & Signals, from Local Folkel Records of Rochester, NY, is Bernice's third album and features "I Need a Wife Too," 'My Life," "Break This Circle" and seven other originals, as well as Bernice's terrific version of Michael Smith's "Dead Egyptian Blues," which has received heavy radio airplay in many parts of the country. While touring the club, college, and coffeehouse circuit nationally, Bernice has also appeared on National Public Radio's "Mountain Stage" and performed at the Kerrville, Winnipeg, Tucson and Hartland Family Folk Festivals, among many others. Bernice has shared the stage with Livingston Taylor, Tom Chapin, Rosalie Sorrels, John Gorka, Bill Morrissey, and Tom Paxton. She also lead a series of public songwriting workshops. 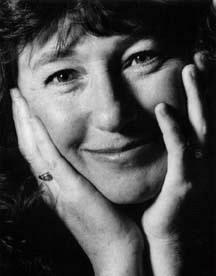 Bernice studied vocal improvisation with none other than Bobby McFerrin, as well as guitar technique with Alex DeGrassi and Guy Van Duser. The apprenticeship "pays big dividends." Her powerful voice, eclectic musical vision, and warm affection toward the audience have made her a favorite indeed.